Michael Gregoritsch with Stefan Reuter. | Photo: FC Augsburg. Die Fuggerstädter have brought in Michael Gregoritsch from Hamburg and Sergio Córdova from Venezuelan club Caracas. FC Augsburg completed a double swoop on Tuesday, with forwards Michael Gregoritsch and Sergio Córdova both signing contracts until 2022. Gregoritsch of course has Bundesliga experience with Hamburger SV, with Córdova arriving from Venezuelan side Caracas FC after impressing in the FIFA Under-20 World Cup. Gregoritsch signed for Hamburg in 2015 after a successful spell for VfL Bochum in the 2. Bundesliga. In the top flight he made 55 appearances for Hamburg, impressing as much as anyone can at the Bundesliga’s ultimate crisis club, scoring five goals in each of his two seasons there. The past year has also seen the 23-year-old make his international debut for Austria, which came as a substitute against Georgia in September, whilst he has since earned further caps against Finland and the Republic of Ireland, although he is yet to score his first goal for his country. 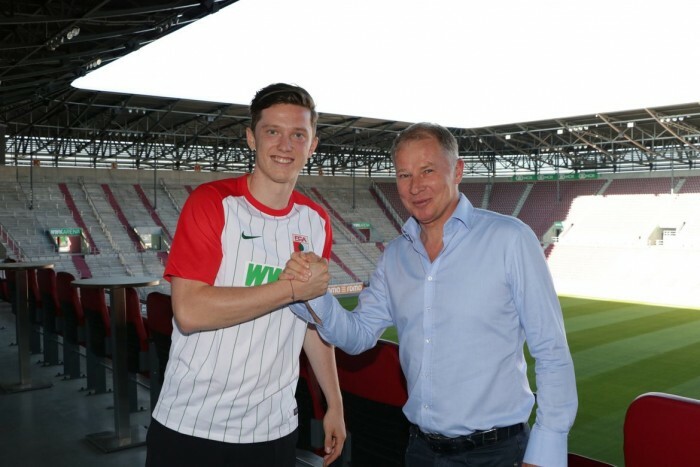 Augsburg’s sporting director Stefan Reuter describes him as “a young player with a goal threat” and “a versatile attacker.” He said that the club were “pleased that he’s decided to join” them. Sergio Córdova completes his move to Europe. | Photo: FC Augsburg. 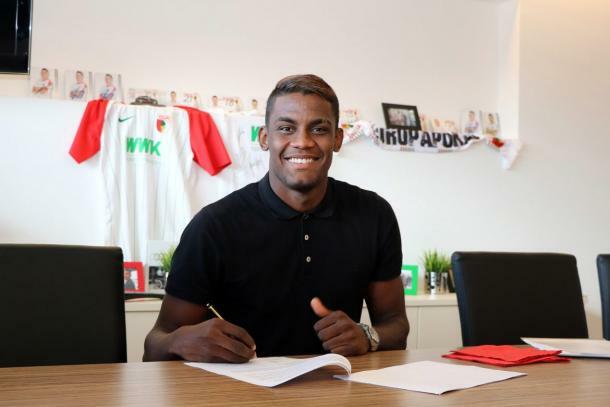 Córdova arrives as much more of an unknown quantity, with Augsburg his first club outside of his native country. The 19-year-old has experience of playing in Venezuela’s top flight with Caracas, as well as in the Copa Sudamericana. However he would have caught the eye of the Bavarian club during the recent Under-20 World Cup in South Korea. He played in all seven of Venezuela’s games, mostly as a winger, scoring four goals as they made it all the way to the final, which they lost to England. The pair are Augsburg’s fourth and fifth new signings, following Rani Khedira, Fabian Giefer and Marcel Heller.